Home Uncategorized The big question: Can Iyanya bounce back from his “applaudise” album? 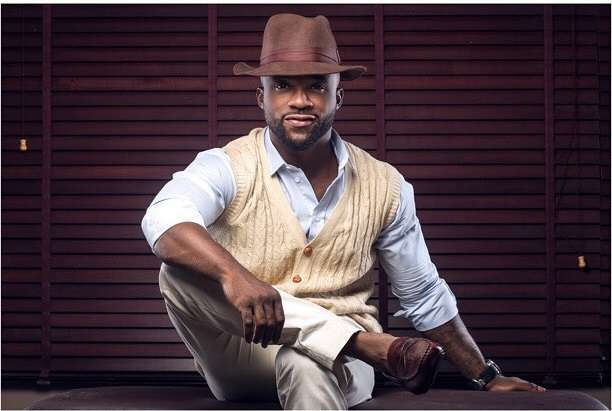 The big question: Can Iyanya bounce back from his “applaudise” album? In January 2015, the hype was all over the place.Iyanya had just scored another big bright hit with his monster collaboration with Don Jazzy, ‘Gift’.The song, a percussion heavy urban highlife song was produced by the emerging Black Jerzey, with a video treatment given two months later in South Africa. ‘Gift’ was the perfect launching pad for the singer who had big plans for the year. The shows came in heavy, and more music was released. March rolled through, and as the visual for ‘Gift’, led local TV stations, Iyanya pushed further with new music. This time he made public ‘Applaudise’, a romantic track still of the urban Highlife genre. It was two out of two for the singer, as lovebirds latched on to the infectious tune, and the profile of Iyanya grew. This was his year, his moment in the sun. More music followed, as Diamond Platnumz from Tanzania made his way into the country to record‘Nakupenda’ and shoot the video. An unfinished version of the song ‘Baby Daddy’, was also released, but got no promotion. August came, and the title of the album was made public. Contrary to what everyone anticipated the title was announced as ‘Applaudise’, and the promotions began. The interview circuit was activated with great photos released as promotion. Iyanya was pictured in various costumes depicting the various major tribes of Nigeria, and spotting a wry smile. Everyone was ready. Iyanya was ready, the album was ready, the public anticipated and then it dropped. October 15 2015 is on record as the day Iyanya let fly his work. A 20-track work was released to the public with production from Mystro, Princeton, TY Mix and more. Early reception for the work was lukewarm, and four months after the release, Nigeria seems to have moved on. “So far people love the album, from comments I have been seeing, and posts, people love the album.” Iyanya’s manager, Ubi Franklin, explains over the phone. Promotional plans involved an album listening party in Abuja, away from Lagos, the hub of Nigeria’s entertainment industry. On the night of the show, Iyanya showed up in a silver suit, backed by an array of singers and industry colleagues. “That’s a blessing. These people have all shown me love, I didn’t pay them,” the singer beamed at his interview with Soundcity. That blessing was not enough for the party, as only negativity came out after the show. VIP guests were entertained with bottle of Hennessy and peanuts, and social media had a swell time trolling the artiste. On the content front, promotion for the album began with a video for the radio-friendly ‘Okamfo’,a collaboration with YBNL’s hit man, Lil Kesh. But it was too little to create the desired spark. Ubi Franklin understands this too. Hence the need to release more videos. “The thing is, it’s a general thing in the Nigerian entertainment industry.”Ubi said. People respect singles more than the full album. And people only go for songs they have actually seen a video for. “People love the album, but for them to properly sit on the album, we need to give them videos. Iyanya recently shot one of the videos for a song on the album. ‘Baby Daddy’, an R&B collaboration with Banky W is also set for release, having received favorable reviews and gained traction on air. Other videos will follow suit, as the team travels to America this week to shoot more visuals. Plans are also underway for a US and Canada tour in the second quarter of the year. Also, Iyanya intends to return to his first love genre (R&B). A collaborative album with Banky W is in the recording stages, with a 5 month duration before release. These and more are expected to bolster the album, lest it gets chalked up as a failed project from the singer.